256 pages | 34 B/W Illus. 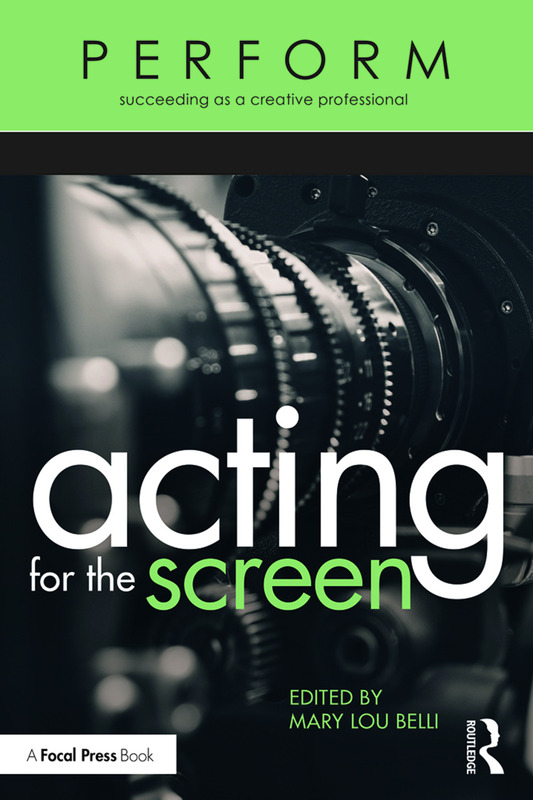 Acting for the Screen is a collection of essays written by and interviews with working actors, producers, directors, casting directors, and acting professors, exploring the business side of screen acting. In this book, over thirty show business professionals dispel myths about the industry and provide practical advice on topics such as how to break into the field, how to develop, nurture, and navigate business relationships, and how to do creative work under pressure. Readers will also learn about the entrepreneurial expectations in relation to the internet and social media, strategies for contending with the emotional highs and lows of acting, and money management while pursuing acting as a profession. Written for undergraduates and graduates studying Acting for Screen, aspiring professional actors, and working actors looking to reinvent themselves, Acting for the Screen provides readers with a wealth of first-hand information that will help them create their own opportunities and pursue a career in show business. Before College, If College: Where Do I Start? A two-time Emmy award-winner, Mary Lou Belli has been directing television for over 20 years, with credits including NCIS New Orleans, Bull, Station 19, Monk, Legacies, and Dynasty. She is the Co-chair of the Women’s Steering Committee at the DGA, where she also serves on the Western Director’s Council and the Leadership Council PAC. Mary Lou is an Honorary Board member of the Alliance of Women Directors, Women in Media, and a long-time member of Women in Film. PERFORM is an easy-to-read series for undergraduate and graduate students that professors across disciplines in the arts can use to accompany their primary textbooks. The books are encouraging in tone and detail what it takes to perform creatively and financially in the specific fields. The series serves as a career development tool to help students understand the various vocational possibilities in the discipline they’re studying, whether it be theater, film, music, visual arts, or design.